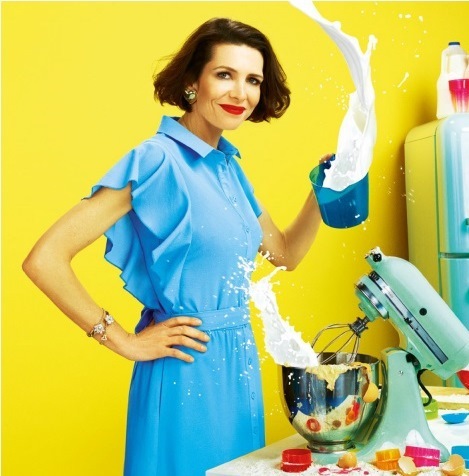 Chef Thomasina Miers became a household name after winning Masterchef in 2005, setting up London Mexican restaurant Wahaca on the back of the BBC competition. Her focus on creating fresh, honest, Mexican street food has paid off and now Miers has brought out a range of soft taco kits for supermarkets so people can have a taste of Wahaca at home. Miers has also offered up some of her own recipes to WeekendNotes to use with the kits, that you can read below. Meanwhile, I put them to the test, to see how easy they are to use and how good they taste compared to other taco kits on the market. Coming in a range of mild or fiery, the soft taco kits are in a tasteful, eye-catching stand-up packet that make the most of the Wahaca name - and why wouldn't they, seeing as it is an award-winning brand, now with 25 branches nationwide? Fiery Habanero and Achoite has a focus on heat as these two ingredients are one of the hottest chilli peppers in the world and the spice from the Yucatan region of Mexico respectively. The milder kit meanwhile is tomatillo and garlic mojo and there is also a Tomato And Smoky Chipotle kit too. They all contain 10 flour and yellow corn tortillas, which are smaller but plumper and fluffier than those found in the most common kits available. However, it's the marinades and salsas that differ in each pack and offer the distinctiveness of Wahaca. 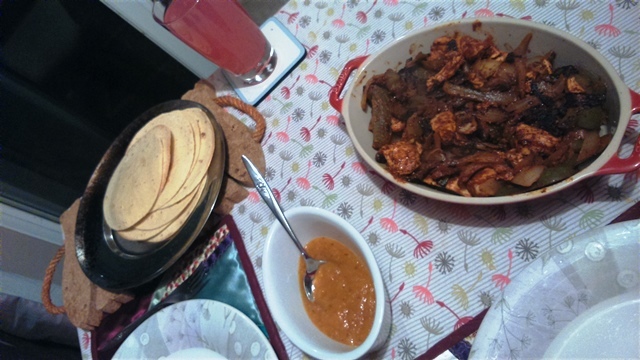 The marinade quickly soaks into whatever meat or vegetables you have bought to fill the tacos and it is very easy to use, as they are in most mainstream kits. The mildest option has a marinade made with garlic, chipotle and arbol chillies that has only the barest of heat for those who can't handle too much chilli. There's also Miers' mild green salsa made with tomatillos, garlic and jalapeno, which is a refreshing change from the hum-drum bright red tomato based offerings. In contrast, the fiery hot kit has a spicy salsa made with carrots, honey and habanero chilli, while the delicious marinade has been created using onion and annatto, a Central American food colouring. It's got a nice bit of heat but nothing too overbearing for those of you used to a lot of chilli. The chipotle kit has a smoky Salsa that is made with tomatoes and chipotle chilli and comes with a spicy marinade including those same ingredients. The kits cost £3.69 each from Tesco, virtually the same as other leading brands, so it's a fair price. The main advantage is that it offers a change from the norm with well chosen, flavoursome ingredients. 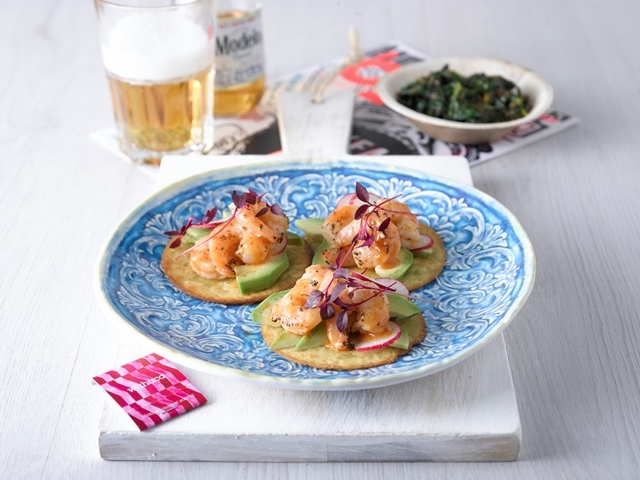 While these kits won't bring you the full throttle flavours and atmosphere of the Wahaca restaurants, they are a refreshing change and good new option in the Mexican cook-at-home market. A taste of Wahaca at home. Dice the aubergine into small chunks and coat in a bowl with 2 tsps. of vegetable oil and the full pouch of Wahaca Garlic & Chipotle Marinade. Place in a pan and fry for approxiametly 10 minutes or until cooked. Whilst aubergine is frying, finely slice the chilli and mix with the chopped coriander and mint in a small bowl. Add the tin of sweetcorn and a squeeze of lime and stir thoroughly. After the aubergine is cooked, remove from the heat and set to one side. Then lightly fry each tortilla in a pan for 30 seconds. Now serve each taco with a spoon of aubergine, corn mix and top with Tomatillo salsa. Dice the sweet potato into small chunks and coat in a bowl with 2 tsps of vegetable oil and the full pouch of Wahaca Achiote Marinade. Place on baking tray and bake for 15 minutes at 200 degrees. Whilst the sweet potato is baking, take 2 handfuls of kale into a small bowl. After 15 minutes remove the sweet potato from the oven and add the kale placing back in the oven for a further 5-10 minutes. Whilst this is baking, crumble 30g feta into a small bowl and set aside. Remove the sweet potato and kale from the oven and leave to cool for 1 minute. Whilst this is resting fry each tortilla in a pan for 30 seconds. Then serve taco with sweet potato, kale and feta and top with Habanero salsa. Take 300g of prepared new king prawns and in a bowl mix with the Garlic & Chipotle marinade, leave to marinade for approxiametely 45 minutes. While marinating prepare the avocado cream by blending the avocado, crème fraiche, lime juice and red chilli together until smooth. Brush the soft taco with a good amount of oil and fry on moderate heat in a frying pan until crisp and golden brown on both sides. Combine the 250g minced pork and the 250g minced beef and then pour over the sachet of Chipotle marinade. 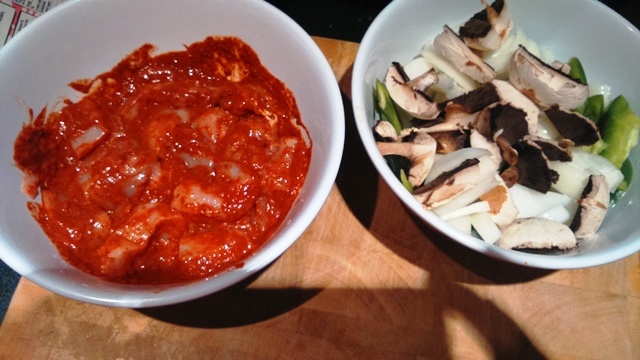 Mix through and then leave to marinade for 15 minutes (or overnight for more flavour). Add oil and heat to just smoking point. Add the meat to the pan and fry until the meat turns brown and slightly caramelised. Next add the spices (Cinnamon, cloves and cumin) and then season with salt and pepper. Add the onion and garlic and then sauté them for 5-7 minutes until the onions have completely cooked. Now add the raisins then the 2 tins of plum tomatoes. Then cook until the tomatoes start to break down. Now add the additional stock and chopped olives. Finally, add the flaked almonds and then your Piccadillo is ready to serve. Now you are ready to make up a delish taco by pairing the delicious Piccadillo with your Wahaca tortillas, a spoon full of Chipotle Salsa and a splash of sour cream.